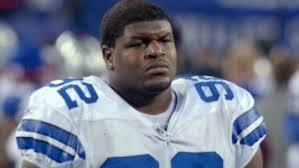 A jury has found ex-Dallas Cowboy lineman, Josh Brent, guilty of DUI manslaughter after deliberating for only two days. Brent crashed his Mercedes in the early morning hours of December 8, 2012, killing his passenger, Jerry Brown, a fellow Cowboy, in an awful crash. The nose tackle — who played 12 games in the 2012 season for the Cowboys — faces up to 20 years behind bars. Stacy Jackson, Brown’s mother, says that she forgives Brent, and she plans to testify to help him get a lighter sentence. The verdict came just a few weeks after another Texas DUI manslaughter case concluded. In that case, a defendant named Ethan Couch got let off with just probation, after he caused a crash that killed four people. Couch’s “affluenza” defense sparked an intense and vigorous debate in Texas, online, and elsewhere. Here’s a quick primer on Southern California DUI gross vehicular manslaughter cases. Penal Code Section 191.5 (A) outlines what prosecutors must prove to win a gross vehicular manslaughter case. First, the prosecution must show that a driver was under the influence of drugs or alcohol — i.e. that his blood alcohol concentration was 0.08% or above. Second, the prosecution must show that the driver committed a misdemeanor or infraction — or some other act that could have caused someone to die. The prosecution must also show that this act was committed with “gross negligence” – a kind of negligence above and beyond a normal lack of attention or carelessness. Finally, the prosecution must show that said conduct resulted in someone’s death. Defending against DUI manslaughter charges can be complex, fraught work. If you or someone you love needs help with a serious Los Angeles DUI defense, connect with ex-prosecutor Michael Kraut and his legal team today for guidance.